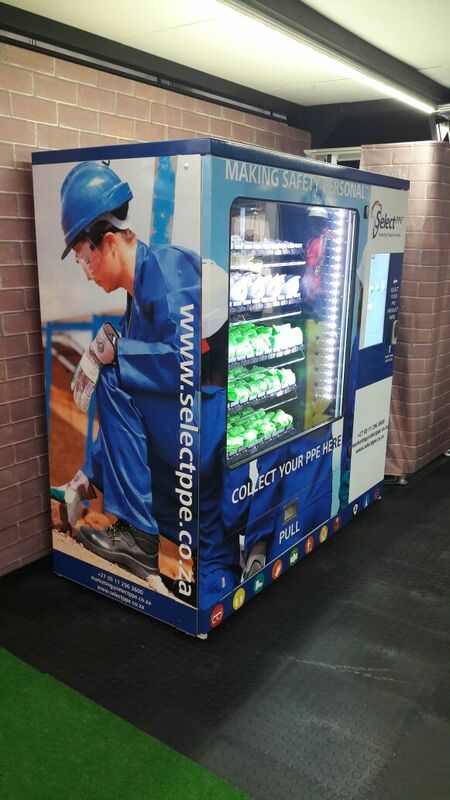 The Vending Machine can be stocked with various PPE as required by the client, being controlled and monitored in real time. 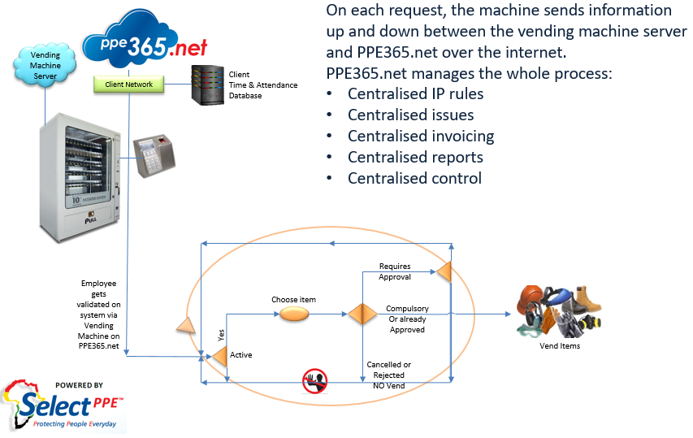 The vending machine solution can also be integrated with the inhouse PPE365.net application which means that the predefined IP (Issuing Protocol) rules applies to the vending machine e.g. 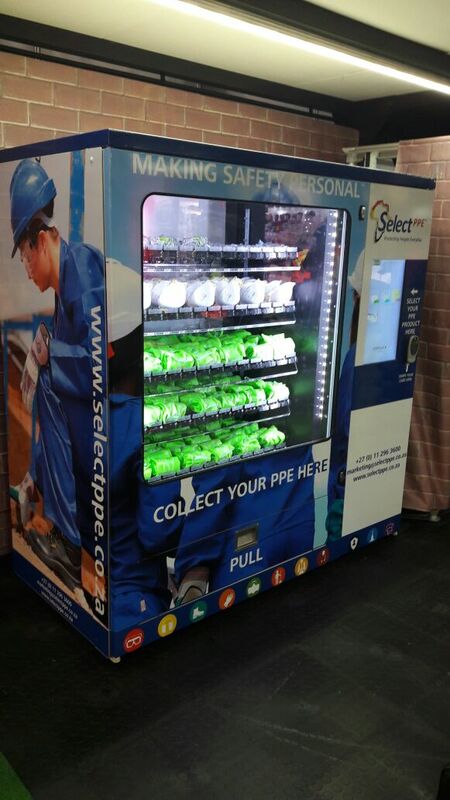 if an employee is only allowed to get one spectacle per week as per IP, the machine will note issue. 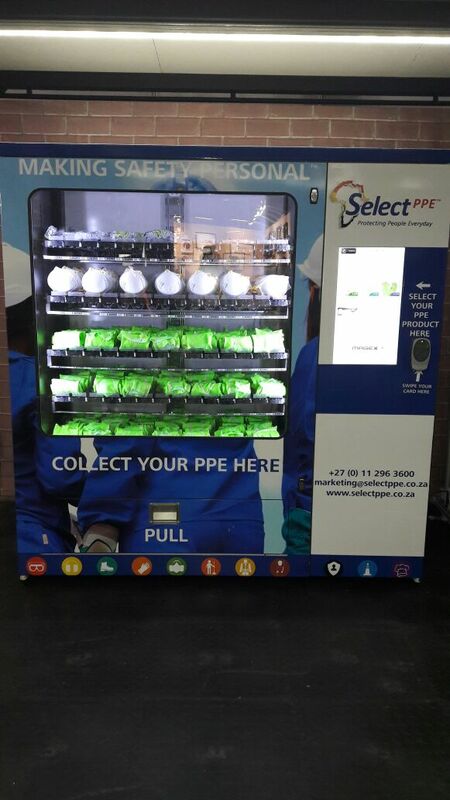 The Select PPE Vending Machines are Flexible and Configurable, there are up to 96 different SKU's per machine. 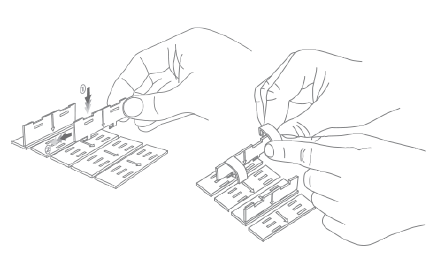 There is access to daily decision data such as stock movement, quantities etc. Notification via emails or SMS will be received on the threshold of stock levels. Stock items must be decided and configures depends on Internet connection. The solution also allows for Reports on stock-holding and notifications could be defined when running low. Invoicing also happens effortless!